Tanya Roberts at the unveiling of music artist Prince 3121 live entertainment venue. Tanya Roberts at the 5th Annual TV Land Awards. Tanya Roberts at the gala premiere of "Criss Angel Believe." Tanya Roberts at the 18th Annual Night of 100 Stars Gala. Tanya Roberts at the Entertainment Tonights Annual Emmy Awards Party. Tanya Roberts at the Annual Norby Walters Holliday Party. Tanya Roberts at the 14th Annual Environmental Media Awards. Tanya Roberts and Norby Walters at the Norby Walters 16th Annual Night of 100 Stars Oscar Gala. Tanya Roberts at the opening night performance of "Hairspray." Tanya Roberts at the Las Vegas opening of "The Producers." Tanya Roberts at the unveiling of music artist Prince's 3121 live entertainment venue. Tanya Roberts at the opening night performance of the Broadway musical "Hairspray." 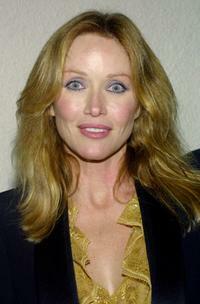 Tanya Roberts at the Fox 2001 Upfront. Tanya Roberts at the Annual Emmy Awards party. Tanya Roberts at the Inaugural Huntington's Disease Society of America Celebration of Hope gala.